With your Laptop Tray mounted to the MD12 extension arm, you can move your laptop computer to the most comfortable position. 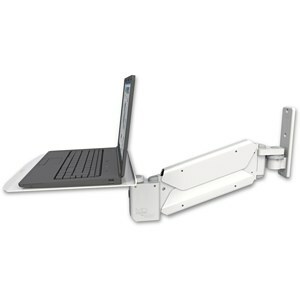 Effortlessly raise and lower the arm, swivel the laptop tray and rotate the arm at the wall mount. The slim design fits comfortably in tight spaces. When not in use, you can easily flip the laptop tray up and stow the unit.